we offer everything necessary for a complete wood restoration. Best of Show at the Pebble Beach Concours 1997.
to perform complex jobs with superb results. in which we changed the veneer from madrone burl to walnut burl. 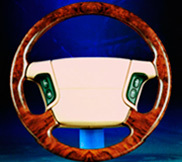 knowledge of woods and veneers, and show-quality finishing. 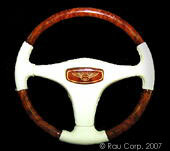 Steering Wheels - handcrafted and elegantly designed. 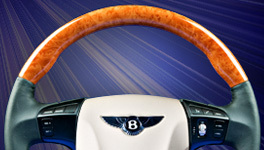 including the Azure and the new Silver Seraph. Best of Show at the Pebble Beach Concours. of wood accessories and custom projects.